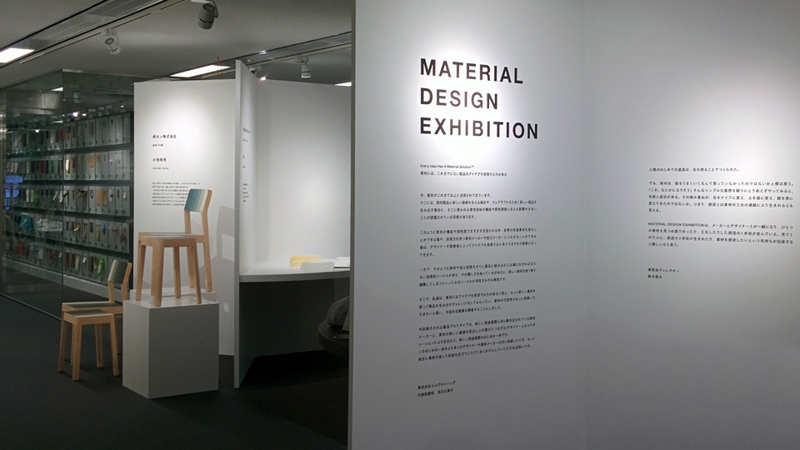 Kazuya Koike produced the decresc series for Material Design Exhibition held at Material Connexion Tokyo during TOKYO DESIGN WEEK. 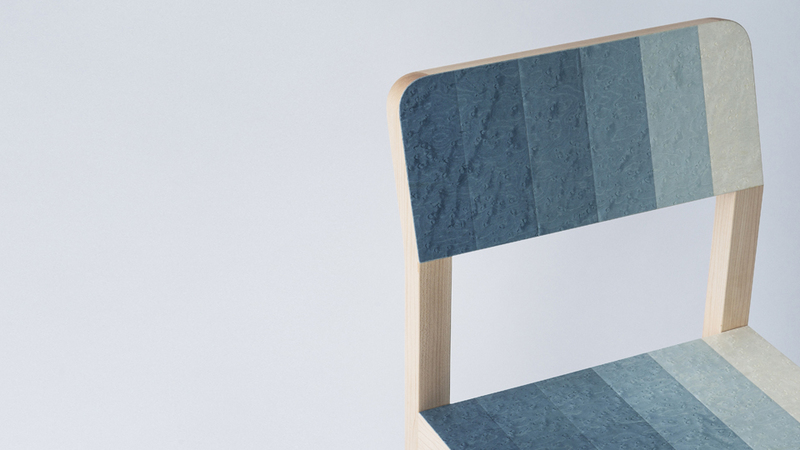 MATERIAL DESIGN EXHIBITION is aiming for creating the new value for a material by the collaboration between the material maker and product designer. the decresc series is produced for making an appeal of dyed plywood which is developed by technology of “Gisen co.,ltd,” the comprehensive textile-processing company has been famous for 60 years stably producing synthetic fabrics of dyeing or special processing. Dyed ink has a character that allow the curly grain visible compare to pigment ink when it colored. But also has another side that makes tone blended with the original colour of wood. 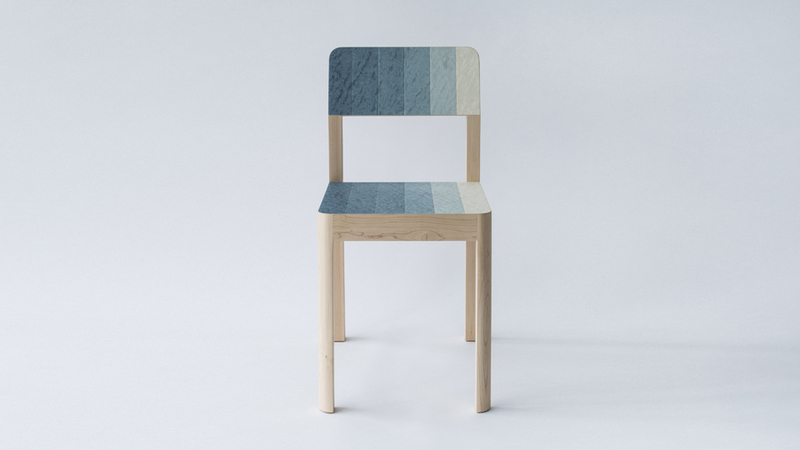 Gisen’s textile technique made it possible to colour the wood brightly with isible curly grain through the process of previous bleaching. Kazuya Koike was focused on quality stability of Gisen’s productions. He requested Gisen to make groups of sliced-woods have same curly grains. Then cut each sliced-woods into a strip of wood forms. And after unitized those strips by exact same models, dyed each model unit into different colors. Now put all units back together into the primal sliced-wood and paste this on to the veneer. 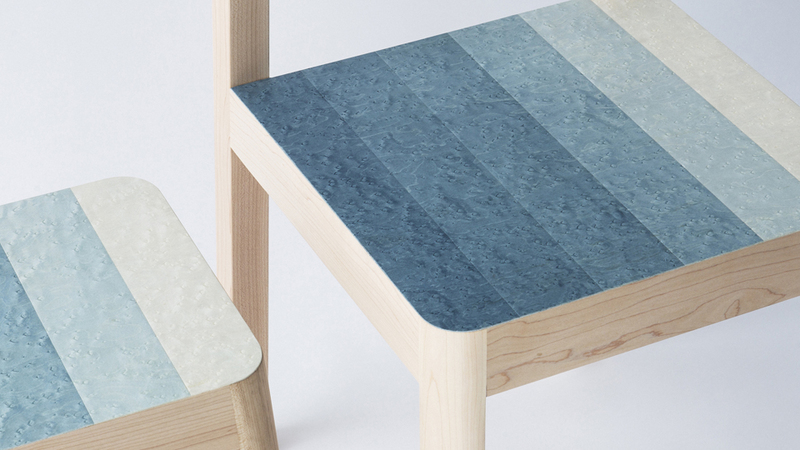 Kazuya successfully made this plywood unique bright gradational colored and yet the wood grain marks completely linked. 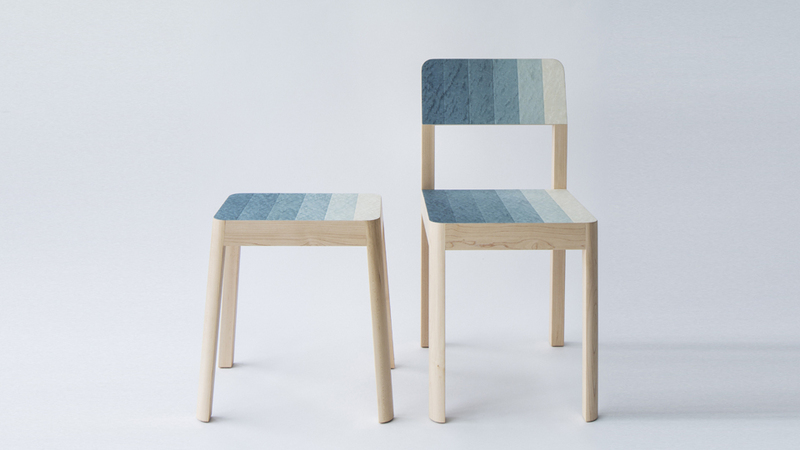 He chooses Maple tree to produce this simple sophisticated chair and stool in order to make the dyed color more stunning. ( Maple tree originally has light tone.) If this production precess was fully established, it would make possible to produce various kind of unique colored plywood. the decresc series is prototype.